Interior Health provides a great opportunity for a diverse and professionally rewarding career, while the region is desirable whether you are an avid outdoor enthusiast, love to immerse yourself in the arts and culture scene, or are looking for a city adventure. In any of our safe and friendly communities you can say good-bye to long commutes and hello to the lifestyle you and your family long for. Play in the beautiful lakes and rivers or sit on the warm beaches and go boating, fishing or river rafting. Experience the mountains with hiking trails, skiing, and camping. Relax on the golf course. Visit the world class wineries. Enjoy your home any way you choose in Canada’s most ideal place to live. The Interior Health Authority (IHA) serves a population of approximately 750,000 across a geographically diverse region of southern BC through 6 regional hospitals and multiple smaller sites. The IHA Department of Laboratory Medicine provides an extensive range of routine and specialized testing, as well as clinical consultations where pathology input is required. Through these services we provide valuable support to clinicians in the prevention, diagnosis, treatment, and monitoring of disease for the residents in the southern interior of British Columbia. Our services range from full clinical diagnostic and anatomic pathology services at our two tertiary care facilities to STAT or on-call lab service at some of our rural facilities. 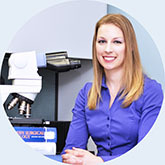 Pathologists at Interior Health can expect a wide-range of activities including surgical pathology, bone-marrow biopsies, cytopathology, hematopathology, medical biochemistry, microbiology, autopsies and quality assurance activities. Teaching medical and laboratory students is also possible as we are also closely linked to the University of British Columbia to support education and advancement of research in the field of Pathology. Practicing General Pathology in a community hospital within the BC Interior is a dream come true for me. Strong connections with local clinicians and a dedicated laboratory staff make for a highly collegial work environment, and the privilege of caring for patients across multiple platforms (chemistry, hematology, transfusion, microbiology, and surgical pathology) and following their outcomes over time cannot be overstated. As a pathologist, I feel valued and appreciated as an important member of the clinical team. Combined with the stunning beauty and endless recreation that the mountains have to offer, BC is the perfect place to live, play, and work at a career that is truly rewarding.